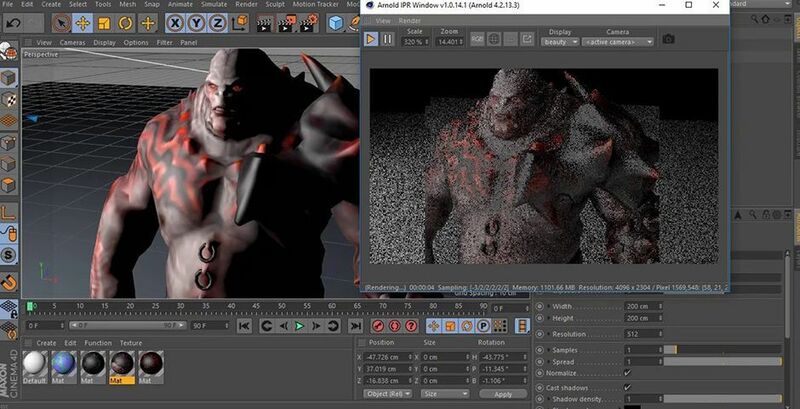 We take a look at why you may want to use the Arnold render engine in Cinema 4D. While there are a lot of rendering options out there in Cinema 4D there are four main third-party render engines you need to know Arnold, Octane, Redshift and Cycles. We thought it'd be fun to take an in-depth look at all four of these amazing tools and discuss why you might prefer one over the other for rendering in Cinema 4D. In this article we will introduce you to Solid Angle’s Arnold Render Engine. This post should be a good overview if you've never heard of Arnold or if you're curious about using it in Cinema 4D. Some of the terms used in this article series may be a bit geeky to say the least. If you find yourself wondering what any of the terms mean, check out our 3D Glossary. 1997 — Solid Angle Founded by Marcos Fajardo. 1998 — Arnold is born. 1998 — One of Arnold’s first uses was in a short Pepe. 2001 — The first license was sold. 2004 — Sony Pictures Imageworks adopted Arnold as its main render engine. 2006 — Monster House, which used Arnold, was nominated for an Academy Award, and has been used for many other major motion pictures since. February 2016 — Solid Angle joined Autodesk. January 2017 — the Academy Awards recognized Arnold with a Scientific and Engineering award. So What is the Arnold Renderer? That means Arnold prides itself on obtaining photorealistic renders far above what you can get out of the standard and physical renders in Cinema4D. That leads nicely into why you may consider using Arnold in the future. Why should I care about Arnold? The job of these first few articles isn’t a compare and contrast. We’ll follow up with one of those shortly. This is just the facts so you can make an informed decision in your career. Solid is in Solid Angle’s name for a reason. Arnold is extremely solid. You can throw gigantic scene files at it and with a great degree of certitude knowing you won't have to worry about Arnold crashing and being unable to handle the scene. Why else would it be used so heavily in VFX and movies? Arnold has a quality about it that can make images look as close as you can get to photorealistic. Part of that is because Arnold is an unbiased render engine. That means it tries to mimic the real world as closely as possible without taking short cuts. It also has to do with the algorithms it uses behind the scenes to calculate its images. This isn’t something only Arnold can do, however it is a big perk of using any 3rd party render software. An interactive preview region is a window that shows you what your rendered scene looks like in almost real time. No more hitting Ctrl/Cmd-R and waiting 10 minutes to see if your scene looks okay with that new lighting setup. When you update your scene, the IPR updates almost instantly, increasing your workflow exponentially. Increase your workflow with Arnold's IPR. Image from Venkat Patnaik. Arnold is just about everywhere. If Cinema4D isn’t the only 3D application you are using, it is likely Solid Angle has put out a plugin for whatever else you’re using. Currently, Arnold has plugins for Cinema4D, Maya, 3DSMax, Houdini, Katana, and Softimage. Solid Angle doesn’t charge you to use additional plugins either. 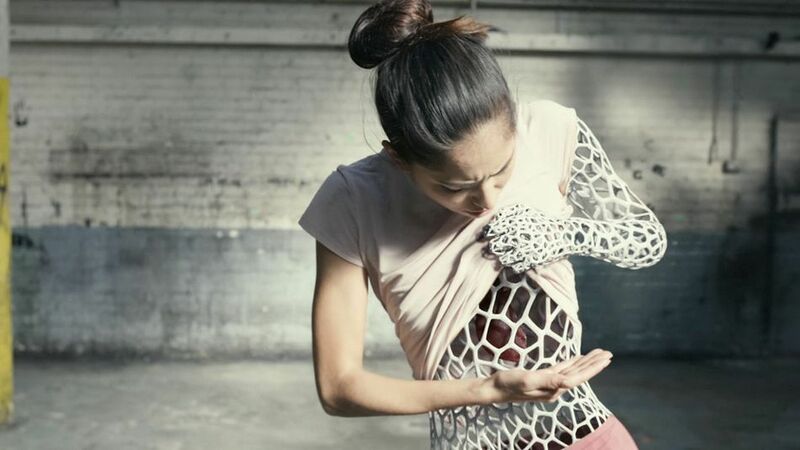 You can easily hop between 3D applications without needing to spend any more money. Arnold’s workflow translates wells to other engines. Learning Arnold is a great way to build a foundation that carries over to other render engines. Arnold’s shader and material system uses common terminology, and a node based workflow, that can be found in other render engines. If you are on a team that uses Arnold, and move to another shop that uses Redshift, you’re going to notice a lot of similarities. It is kind of like learning to drive in a Toyota, and then driving a Ford. There are differences, but it is all basically the same, too. Learning with Arnold is fun, and translates well to other engines. Arnold is the Mill's renderer of choice. There is a ton of render farm support. Since Arnold has been around since the late ‘90s, it has a large following. That means you can very easily find a render farm that supports Arnold. If you’ve got a really big job and your scene is taking 15-minutes a frame to churn out, send it out to a place like PixelPlow and get it back the same day. While there are a couple render farms that support GPU render engines, it isn’t like CPU and Arnold support. 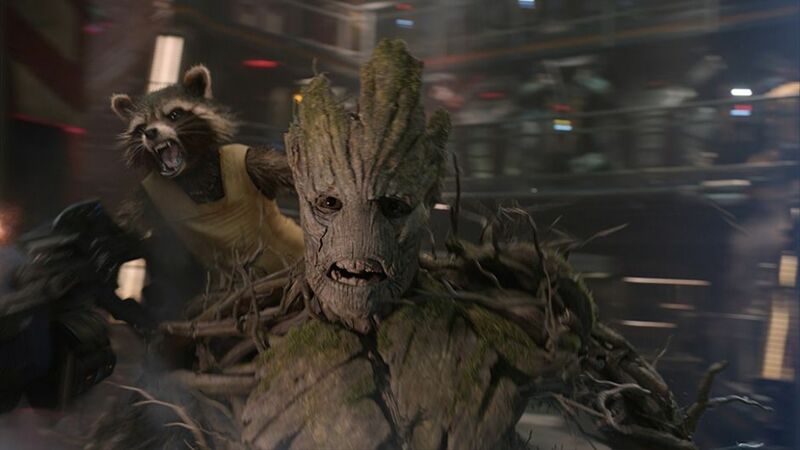 Guardians of the Galaxy used Arnold and an external render farm. Why shouldn’t I consider using Arnold? As with any third party render engine, it is something else to buy. 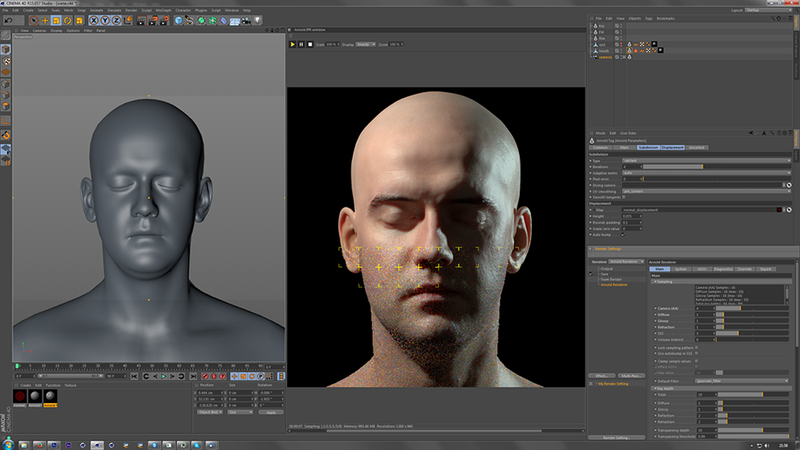 Cinema 4D and other 3D applications cost quite a bit of money. Adding something else on top of that isn’t always something feasible or desirable. Especially as a freelancer. It is one more thing to learn. It isn’t a one-to-one correlation to the standard and physical materials in C4D. If you’re a beginner or still not accustomed to what Cinema 4D is able to do out of the box, you probably aren’t ready to move on to a third-party engine. Lastly, at the time of writing, Arnold is a CPU engine when everything is moving towards using GPUs. While we did say this is a perk, it is also a hindrance. It isn't going to be as fast rendering locally and you will need to take advantage of render farms. It really is a catch-22 situation at the moment, so be sure to check back in the future as the world of rendering evolves. How can I learn more about Arnold? Solid Angle’s website is a great resource and sites like Helloluxxand Greyscale Gorilla offer training and tutorials solutions. What render engines are you using or interested in? Got something cool that you’ve rendered? Let us know on Twitter @schoolofmotion! And of course if you want to learn Cinema 4D from a pro go check out Cinema 4D Basecamp from EJ Hassenfratz here on School of Motion.